NPR: Some Survivors Of Mexico’s Quake Wonder: When Can We Go Home? 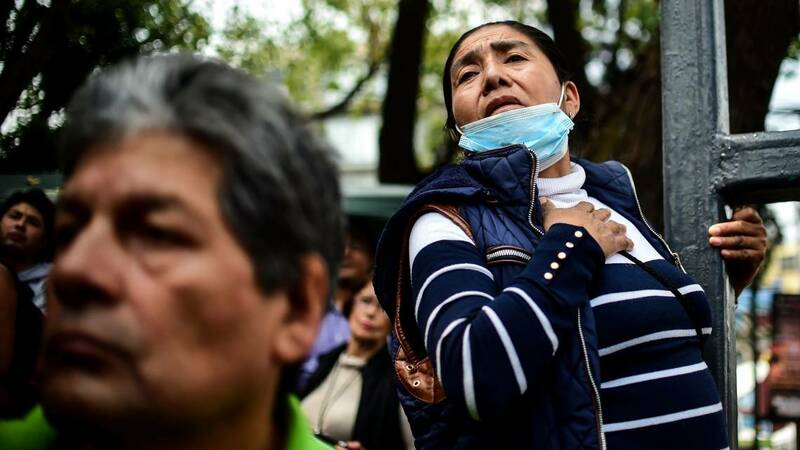 In the eight days since a massive earthquake leveled dozens of buildings across central Mexico, rescue workers and volunteers have scrambled through debris in a desperate search for any signs of survivors. And those efforts, which drew support from at least 43 different countries, were not in vain: Some 70 people were pulled alive from the rubble of their broken buildings. Still, the magnitude 7.1 temblor claimed the lives of at least 337 people — and hopes have dimmed to a glimmer for those who remain missing. 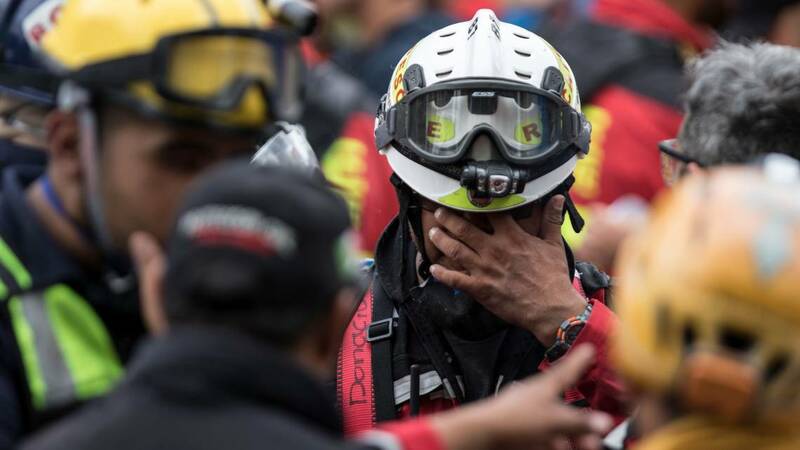 “I can say that at this time it would be unlikely to find someone alive,” Luis Felipe Puente, the national coordinator for civil protection, told Reuters on Tuesday. And the news service reports just one more day remains before official rescue operations end. For many of the survivors, though, the difficulties — and difficult questions — are only just beginning. Thousands of people emerged from the chaos to find they couldn’t go home. Between last Tuesday’s quake and another massive temblor that hit southern Mexico on Sept. 7, The New York Times reports that across the country at least 155,000 homes have been damaged — more than 27,000 of which were destroyed and 19,700 damaged to the point of being uninhabitable. In Mexico City alone, where some 40 buildings collapsed entirely, Mayor Miguel Ángel Mancera tweeted Monday that more than 1,800 of the damaged buildings inspected by officials could not be verified as safe. All of which has left displaced residents feeling helpless, in sight of their still-standing homes but utterly unable to return. In some cases, those buried markers of identity served more than a symbolic purpose. As The Guardian reports, some political operatives have required official voter identification in order to receive supplies like food and water. Several survivors have related stories of similar exchanges to media outlets, telling of what they see as limited help from local officials, unevenly distributed depending on the income level of those receiving it. 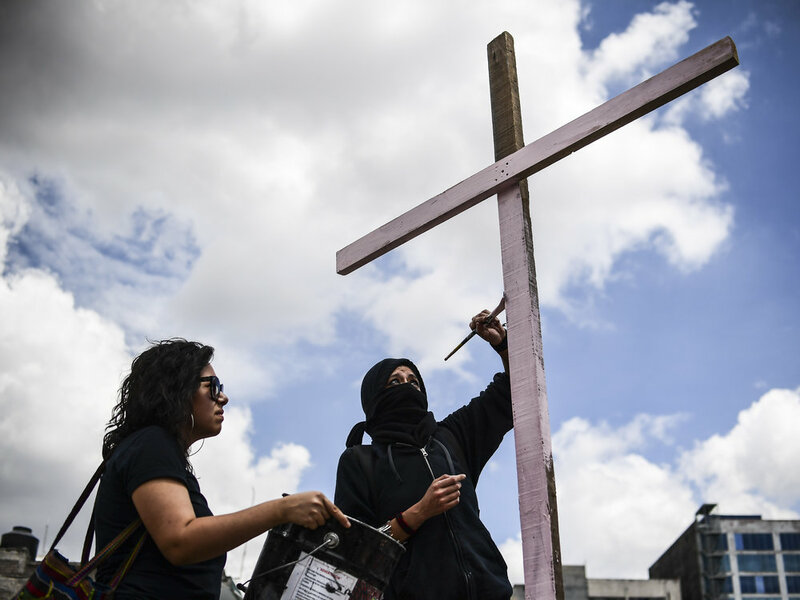 Peña Nieto promised aid to the displaced this week, and according to The Associated Press, the government has offered about $170 a month to survivors who were forced to leave their homes. “We will directly support families with resources and materials to repair damages or build a new home,” the president said in a speech translated by the AP. The Mexican government also finds itself grappling with another question: Why is it so many buildings fell? Precisely 32 years before last Tuesday’s earthquake, a massive temblor tore through the same region, killing thousands and prompting authorities to overhaul the country’s building codes. Those rules were intended to prevent a similar disaster — but it remains unclear how many of last week’s collapsed buildings actually observed them. Among those destroyed structures, one has drawn particular scrutiny: Enrique Rebsamen school, where a whole wing of the building buckled and killed 26 people, most of whom were young children. Built in 1983 and extended with additions in the decades since, the Times reports the building appeared to be compliant with building ordinances at the time of the earthquake, despite occasional citations for failing to get proper permits on time. The AP reports that some experts suggest a flaw in the testing process, which involves piling sandbags on upper floors, may have led officials to miss crucial flaws in the building itself. “Seismic is a lateral force, so if you just put a whole bunch of sandbags it is not going to tell you the story of the seismic capacity of the building at all,” structural engineer Kit Miyamoto told the news service. 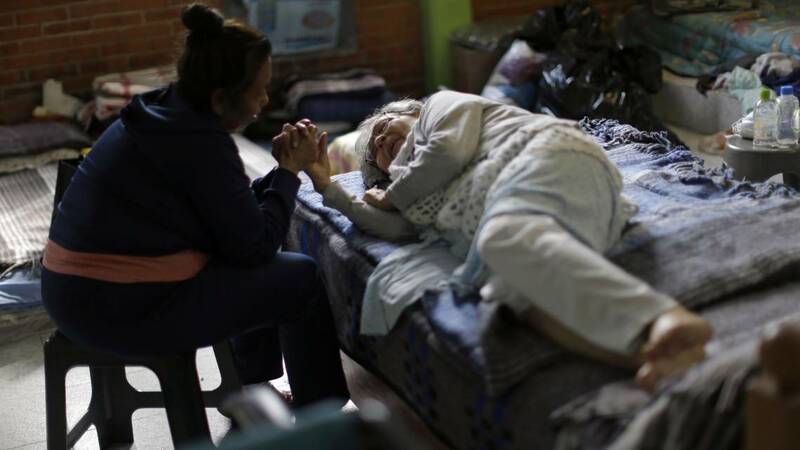 How long that will take, exactly, will be up to the authorities — and, as 81-year-old Angelina Usuna Garcia told the AP at one shelter, authorities don’t enjoy a deep well of trust among the displaced.